I’m Innocent in Gun Case!!! Rapper Blueface says he can point cops in the right direction to prove he’s innocent. Blueface’s manager, Wack 100, tells TMZ … Blueface never had a gun when cops busted his posse last week in downtown L.A. and, for good measure, says there should be plenty of surveillance footage to prove it. 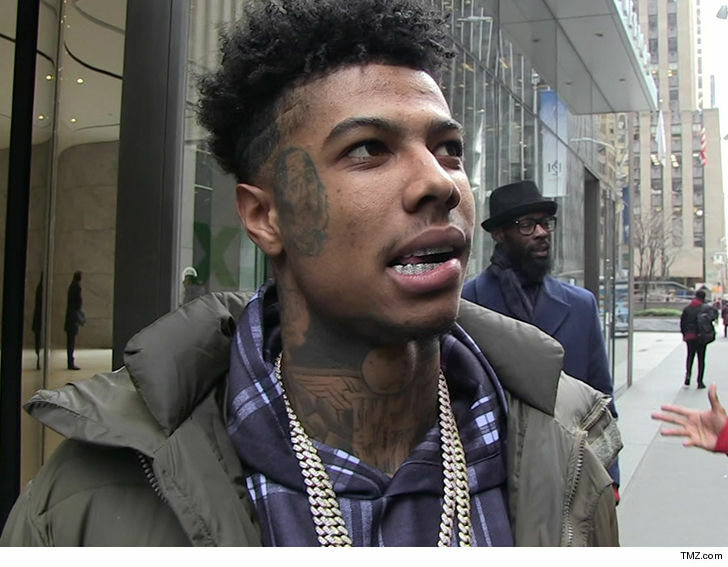 What’s more … Wack says if investigators check for Blueface’s prints against the guns cops recovered … they WON’T find his fingerprints on any of the weapons. TMZ broke the story … law enforcement sources told us Blueface and his crew scattered and tossed their guns away after LAPD rolled up on them. But, Wack says Blueface was actually sitting in his car before cops told him to get out. He was arrested for felony possession of carrying a loaded firearm. We’re told the man behind the Bust Down dance craze wants to put this episode behind him and focus on music … especially because Wack insists Blueface had no knowledge of anyone packing heat. Wack says Blueface, who is out on bail, did wanna give cops props for this — they drove his expensive ride from where the bust went down … and parked it near the station to keep it away from car thieves. Remember, there was concern about robberies in the area. Good looking out, Five-0.